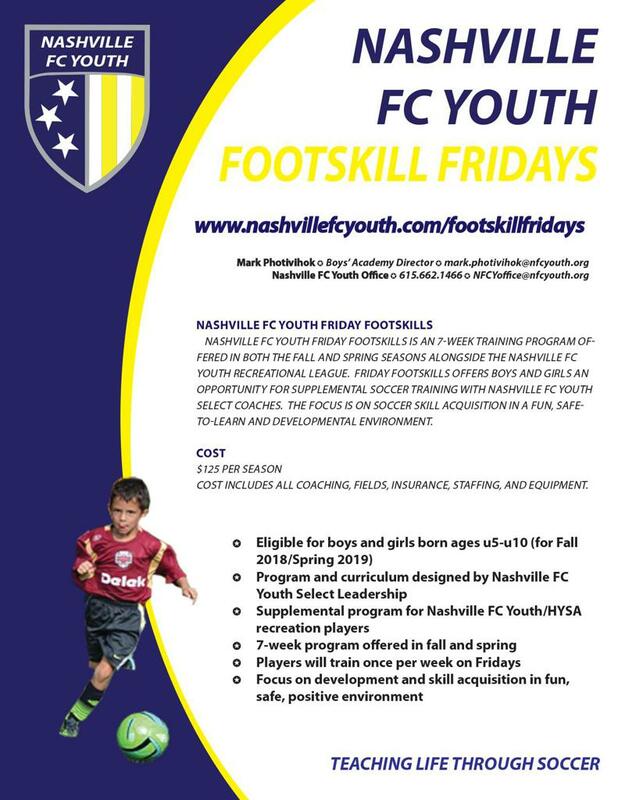 Nashville FC Youth FOOTSKILL FRIDAYS is an 7-week training program offered in both the fall and spring seasons alongside the Nashville FC Recreation league. FOOTSKILL FRIDAYS offers boys and girls an opportunity for supplemental soccer training with Nashville FC Youth Select coaches. The focus is on soccer skill acquisition in a fun, safe-to-learn and developmental environment. Each player should have a ball and water.